Great review of Tracking Edith in the Guardian. "The sinew and texture of history are to be found in this grippingly detailed documentary by Peter Stephan Jungk, based on his 2015 book The Darkrooms of Edith Tudor-Hart." The trailer for the feature documtentary REDEMPTION BLUES by Peter Stastny is online. 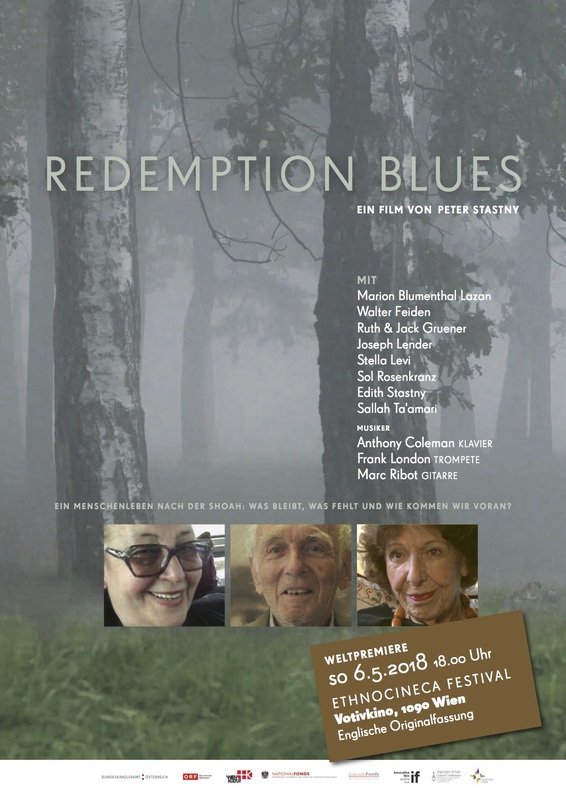 REDEMPTION BLUES by Peter Stastny will celebrate its world premiere in Vienna at the Ethnocineca Festival 2018 on Sunday 6th May 6pm! New York Jewish Film Festival 2018 – 2 screenings on MON 22nd January 3:30 & 8:30 pm at the Walter Reade Theater / Lincoln Film Center, including Q&As with director Peter Stephan Jungk and producer Lillian Birnbaum. Tracking Edith has been selected for the San Diego Jewish Film Festival in February 2018. In November Tracking Edith will screen at the Leeds International Film Festival. This is also the UK premiere for Peter Stephan Jungk's documentary, produced by Lillian Birnbaum in co-production with Transmitter Film. Dates are: 13th & 15th November 2017.